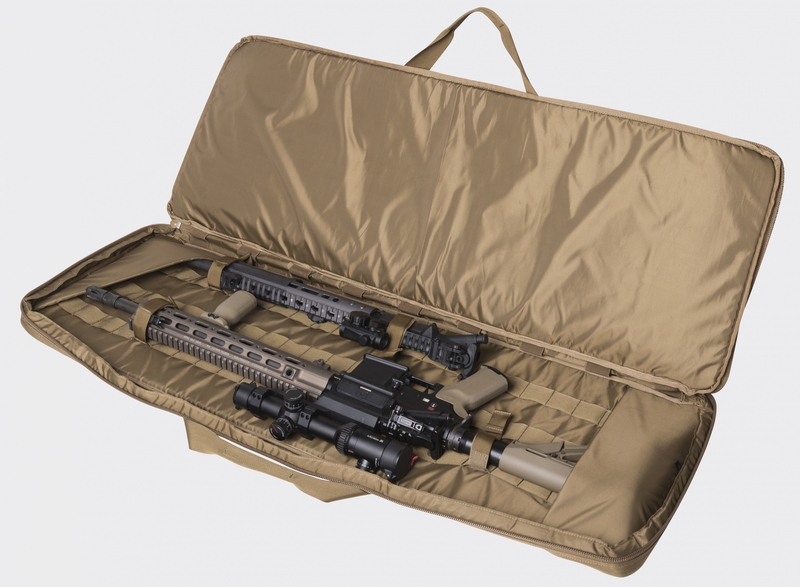 Double Upper Rifle Bag 18® was designed (as the name implies) to safely and comfortably carry a scoped AR-style rifle with extra scoped upper, or two AR-style SBRs or two AKs in basic configuration. The bag can be carried with four sturdy handles, or with detachable (and stowed in special pockets) shoulder straps. On the outside there are three large pockets, each of them designed slightly differently. 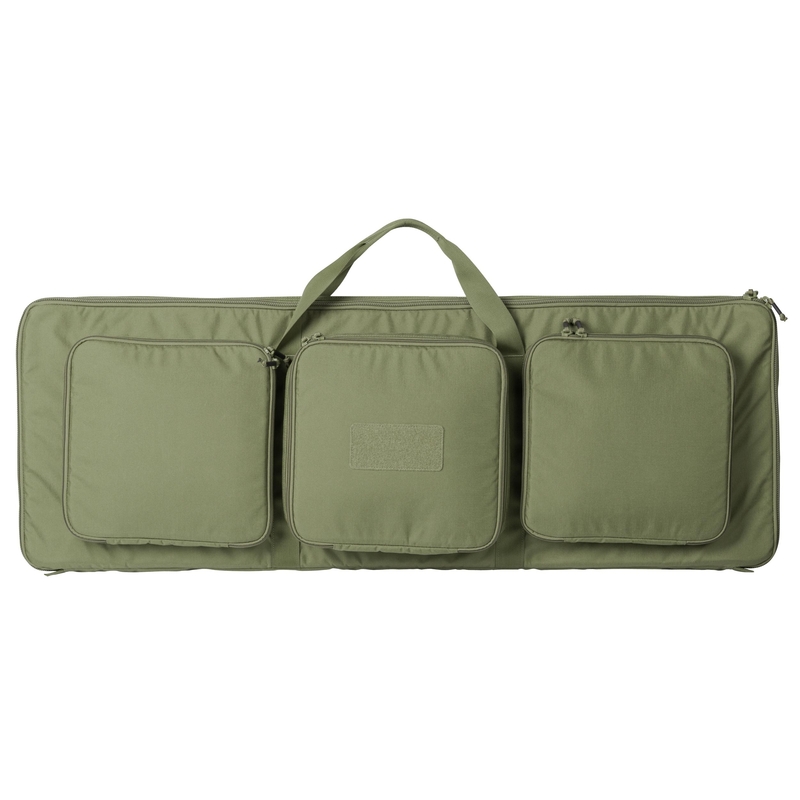 Each has a zippered pocket and Hook & Loop mounting panel to attach Versatile Insert System®-compatible inserts. 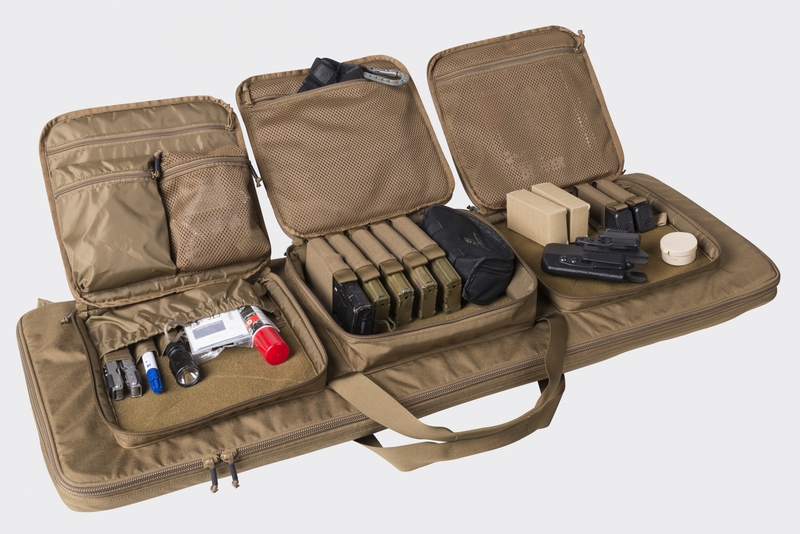 The main chamber of the bag has a ribbon loops system allowing Hook & Loop restraints to be placed anywhere they are needed to keep the weapon from shifting. Elastic loops would keep cleaning rods and cleaning accessories, and specially-designed restrain pockets would keep muzzles and buttplates securely in transport.